What is a grievance or complaint? A complaint is an expression of dissatisfaction, either written or spoken. A complaint can be made by an individual or a group. You may wish to complain if you are not satisfied with the way you have been treated, the service you have received or the tuition you have received from your teacher. Mindful Academy Solterreno recognises that complaints are an important part of customer’s feedback. All complaints will be investigated fully and fairly. Complaints will be dealt with in confidence. The only exception to this is when others could be put at risk by matters referred to in the complaint. If the complainant is not happy with the result of the response to the complaint, they will have the right to appeal to the teachers’ industry body such as Yoga Alliance Professionals. Mindful Academy Solterreno is committed to ensuring that its services, products and courses are of the highest quality. The complaints procedure enables Mindful Academy Solterreno to respond clearly and properly to complaints and to know when and why people are not satisfied with its services and courses, so that they can improve them. There are three stages that you can follow to try to resolve the issue. We will always try to resolve any complaint as soon as possible. You may wish to involve an advocate, friend or someone else to support you at any stage. If you need a sign language or community language interpreter, please let the person dealing with the compliant know and every reasonable effort will be made to provide it. Speak to the individual(s) concerned and try to resolve the complaint informally on the day. If you are not satisfied with the response you have received, try to resolve the issue by following stage two. In fairness to all parties and to ensure the investigator is able to investigate the complaint in an open and meaningful way, we cannot guarantee your anonymity. In exceptional cases, however, where a child or vulnerable adult is involved, in accordance with national guidelines and good practice the identity of individuals at risk with be protected. When the person(s) who are dealing with the complaint, have had an opportunity to review it, they will write to the tutor or person about whom the complaint has been made. The letter will outline the main elements of your complaint and ask for a full written response. At this point, if further relevant information comes to light, you may be asked for your comments to ensure the investigator has a balanced understanding. When your response has been received, the investigator will consider all the information available to them and make a decision. If it is not possible to provide a full answer to your complaint within 30 working days, the letter will outline reasons why and give a date by which a full answer is expected. If you are not satisfied with the response to your complaint then outline the reasons for your dissatisfaction by letter. 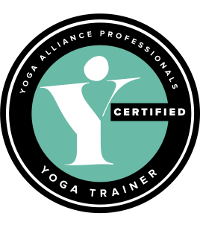 Email this to Yoga Alliance Professionals (if the teachers are Yoga Alliance Professionals accredited). This information will be provided in response to Stage two. Just 4 places left, apply now! Just 4 spaces, apply now! As someone who has worked in education in the UK for over 20 years I was very impressed with the way this course was delivered. It was a fantastic course run by exceptionally skilled, caring and humorous leaders in a stunning setting in Spain. The love and care and nurture that has gone into the development of this Centre are very evident in everything right from the teaching to the most practical aspects of living and food arrangements. there is an embodiment of the Mindfulness-Based practices throughout the course. I took Level 1 in Solterreno last May and I am so glad I did. 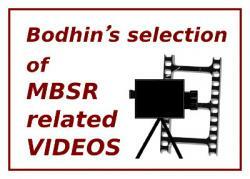 The description on the website is in line with the actual course and it gives you a concrete overall idea of the MBSR program. Copyright © Mindful Academy Solterreno All rights Reserved.